How do we get ready for India? 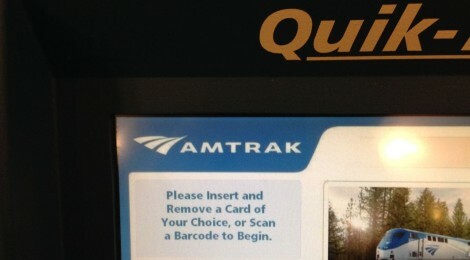 By Amtrak. From Portland to Vancouver, BC. 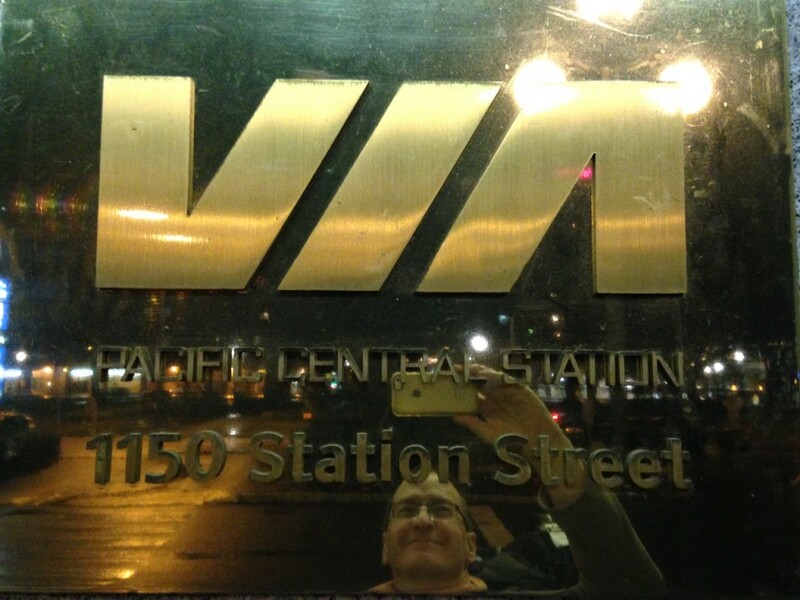 An after-midnight self portrait outside Pacific Central Station in Vancouver, BC. What makes the Cascades line such effective preparation for India? It is an exercise in patience. Depart Portland at 2:40 PM, and arrive in Vancouver at 10:50 PM. Portland, Oregon to Kelso, Washington by bus. Kelso, Washington to Seattle, Washington by rail. 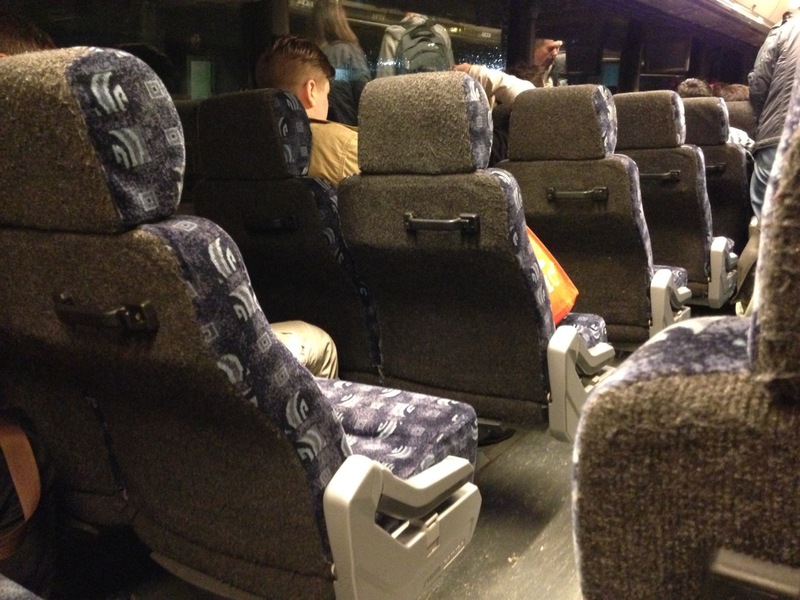 Seattle, Washington to Everett, Washington by bus. Everett, Washington to Vancouver, British Columbia by rail. 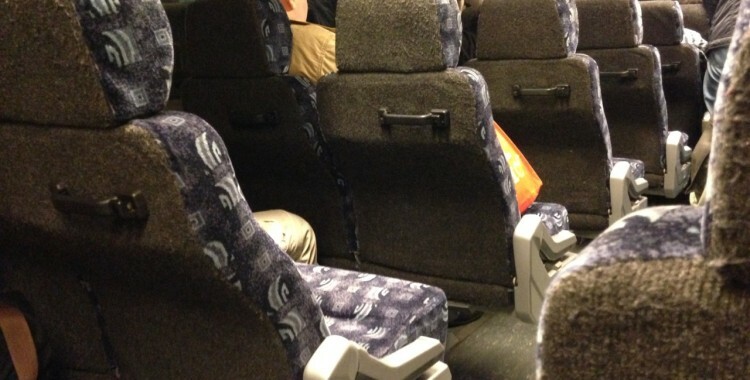 Purple plaid upholstery on a chartered bus, which stands in for a train blocked by mudslides. Depart Portland at 2:45 PM, and arrive in Vancouver at 1:15 AM. The pleasure of holding hands across a bus isle. Unexpected almonds and cheese crackers given out by gracious Amtrak employees. A middle-aged, flour-spattered woman in a Kelso convenience store who happily sold me her last nine postage stamps. The icing-white, highly sculpted interior of the Seattle Amtrak station. A neon sign in the shape of a martini, casting a welcome glow though the rain near the Seattle waterfront. The sublime quiet of welded rail in the stretch of track between Everett and the Canadian boarder. 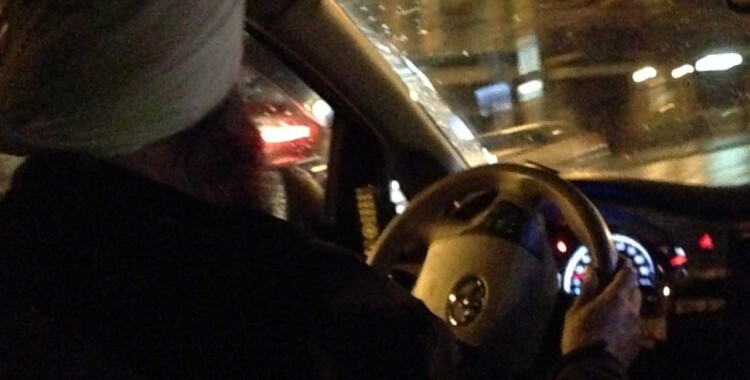 The wondrous turban and flowing beard of our Sikh cab driver. 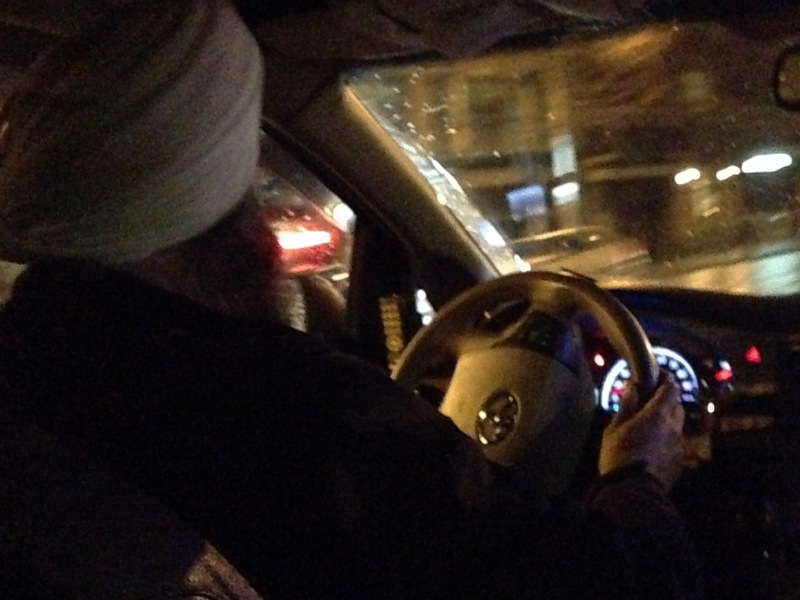 Our Sikh taxi driver carries us faithfully though the rainy streets of Vancouver, British Columbia. I bet my postcard was one of the 9 stamps! Thanks to the flour-spattered woman…and you. I wouldn’t be surprised if one of her stamps _was_ on your postcard. A few lucky devils had theirs mailed from Canada, many less lucky (Shall we call them imps?) only had theirs mailed from Oregon.